Keep Kenya Breathing campaign was launched with pomp and glamour in Nyandarua County on 27th June 2018. The function aptly dubbed by locals as ‘Keep Nyandarua Breathing’ was held at Ndaracaini primary and was officiated by the County Executive Committee Member of Environment, Simon Mwangi, Nyandarua county government who was standing in for the Governor. During the launch, 1000 indigenous tree seedlings were planted in the school compound amidst excitement from the pupils. 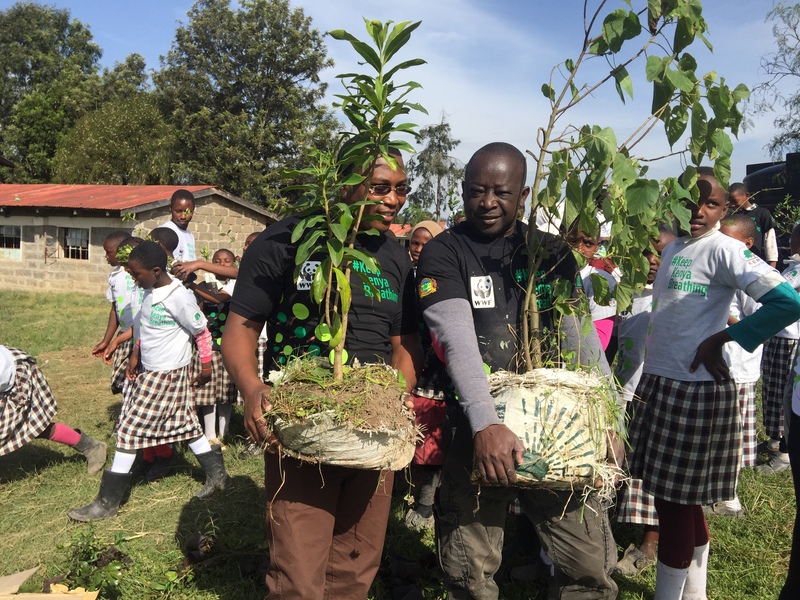 The Ndaracaini school fraternity led by the headmaster and the pupils all unanimously agreed that they will adopt the seedlings and make sure that they grow to maturity. This would go a long way in ensuring the trees survive to maturity. Nyandarua county forest cover stands at 26% percent but even with this, the CEC said they were not resting in their laurels because they would want to increase the forest coverage. 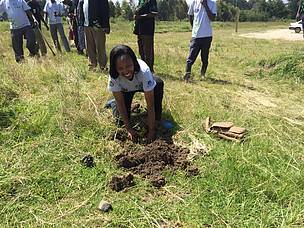 The programme will tap into the county’s tree development project that has already been established in 25 schools with an aim of growing five million seedlings in 5 years. Speaking during the function, WWF Kenya’s Director of Business Development and Communications Joyce Isiaho, reiterated the fact that the organization was in the national tree growing campaign for the long haul and will work together with the county government and other partners in greening the county. 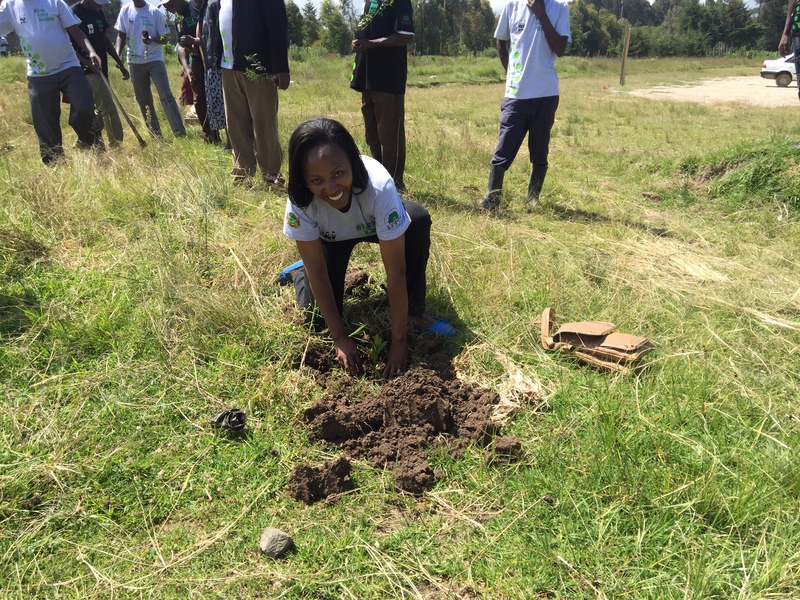 She pleaded with Nyandarua county residents to embrace the initiative so as to address the negative impacts of climate change before it’s too late while also reaping the benefits of the exercise in the future.